SynGard™ GL-5 Limited Slip Gear Oils are full synthetic and designed with extreme pressure additives to prevent gear scuffing and scoring. This product is designed for extreme pressure use in offset spiral bevel and hypoid gear sets where GL-5 heavy duty gear oils are recommended. SynGard GL-5 Limited Slip Gear Oils contain a full limited slip treatment for use in automotive and heavy duty syncromesh and limited slip axles. 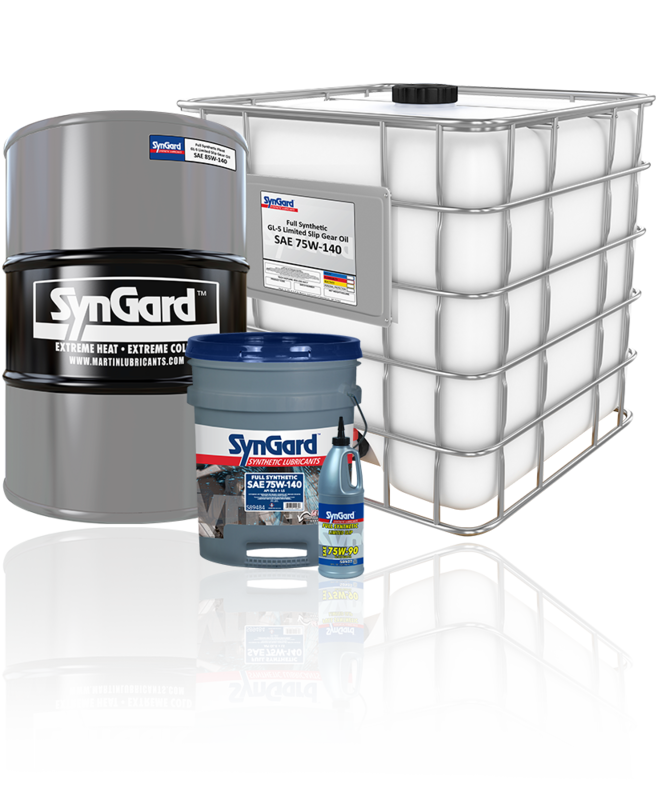 SynGard GL-5 Limited Slip Gear Oil is available in the following viscosities: 75W-90, 75W-140, 80W-140.